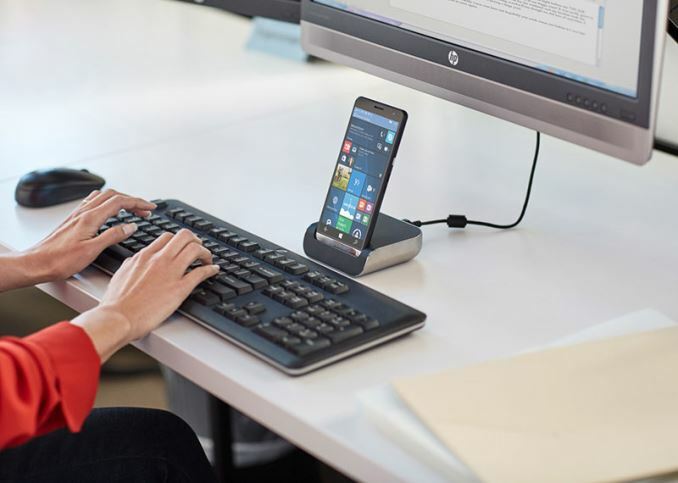 When HP introduced its flagship Elite x3 phablet earlier this year at MWC, the smartphone made a very positive impression mostly because HP decided to make a bold move and create a Windows Continuum device aimed purely at the business professional on a company contract. It drew a little ire from some industry analysts, thinking that HP building a Windows phone would never see the light of day. To them it was a paper announcement, but this week shows that the Elite x3 is still alive and well, and coming to consumers and business users. What the company did not announce in February was its recommended price as well as countries, where it planned to make the product available. This weeks details show that the Elite x3 will hit the market in August and will be sold in 46 countries worldwide. 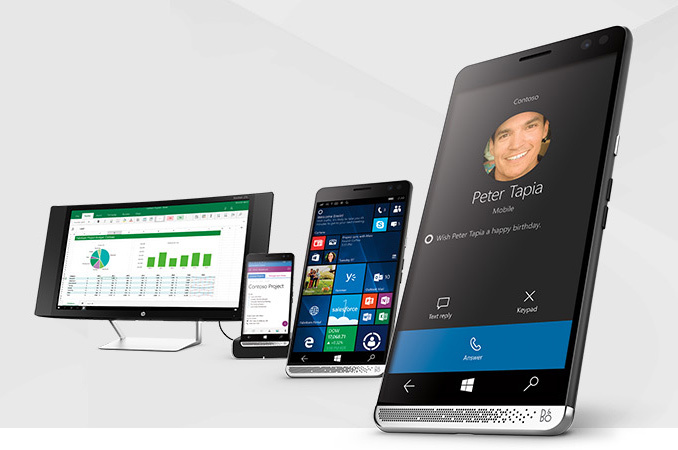 The HP Elite x3 smartphone is based on Qualcomm’s Snapdragon 820 SoC, as well as Microsoft’s Windows 10 Mobile OS. The device is equipped a 5.96” AMOLED display and comes with 64 MB of eMMC 5.1 NAND flash storage, 4 GB of LPDDR4 RAM as well as all the necessary connectivity features, including 4G/LTE, 802.11ac Wi-Fi, Bluetooth 4.0 and a USB Type-C connector. Developed specifically for enterprise and business users, who value security, the device is FIPS 140-2 certified and features Secure Boot (with iris and fingerprint scanners), full disk encryption with a 256-bit key, fTPM 2.0, and so on. While the internal specifications of the HP Elite x3 are impressive, the company does not position the device as just its flagship smartphone. HP believes that there are enterprise customers interested in using one device for multiple workloads and in various situations by taking advantage of Microsoft’s Continuum technology, which allows you to run your phone as a desktop PC. To support such clients, HP intends to offer a special dock (with an Ethernet adapter, DisplayPort USB connectors, etc.) that can work with desktop displays as well as keyboards. When purchased from the HP online store, the dock should come as standard. In addition, the company plans to sell the Mobile Extender laptop, which does not have its own processor or storage, but relies on the Elite x3. The Mobile Extender has a 12.5” display (with 1920x1080 resolution), USB-C ports, speakers as well as a spill-resistant keyboard with a drain and backlighting. Current competition, at least in the Continuum space, comes from Acer's Liquid Jade Primo which was demoed at MWC and quietly shipped several days ago, and the Lumia 950. According to Engadget, which cites a representative of HP, the phablet itself will cost $699 in the U.S. and $799 when acquired with a dock, starting from August 29. Slashgear claims that the Elite x3 will cost €863 in the Netherlands and 8,624 SEK in Sweden. Unfortunately, the price of the Mobile Extender is still unknown. Sources: Engadget, Slashgear, HP Netherlands, HP Sweden. Might as well be dead. Windows Phone has bombed. I had a Lumia 920 for a good 3-4 years, great device... But no update to Windows Phone 10... Only the Beta. Sorry, but the sad truth is that, 4 years after release, the Lumia 920 is an outdated device. A 1.5GHz dual core Krait is no longer the powerhouse it was in February 2012 and may not be able to handle everything Microsoft wants to throw at Windows 10 Mobile devices. Besides, how much financial sense does it make (seeing as Microsoft needs a profit to justify keeping W10M alive) to pay development costs for all these ancient devices? I had a 1520 until... 2 days ago. That combined with Windows 10 is absolutely the worst phone I have ever owned. Buggy, slow, terrible battery life, weird full-device resets... no thanks. I am now back to my faithful Xperia Z3 which has comparable specifications in every way but somehow manages to also be better in all of the above respects. The Android app library seals the deal. 1520 Buggy, slow, terrible battery life ?? I had for 1+ year. never had problem. I had sony xperia Z3 too, huge wasted huge space on bottom and slow, drain battery. I guess it stuck on android 5.1 now and forever, never update, unless you run android N developer review.